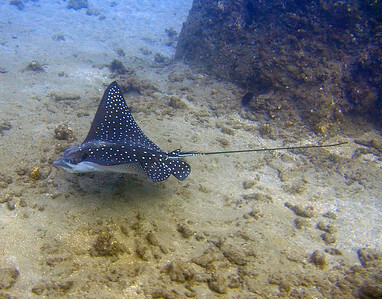 A very pretty spotted eagle ray (Aetobatus narinari) cruising the bottom. 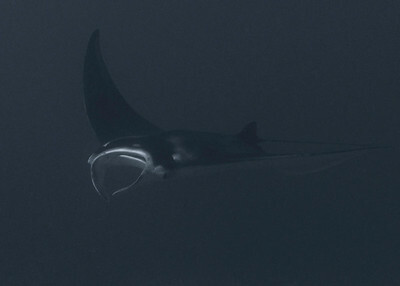 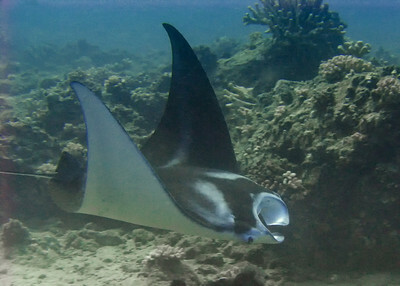 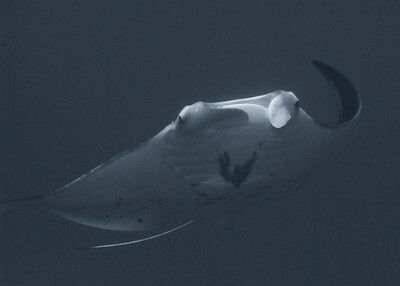 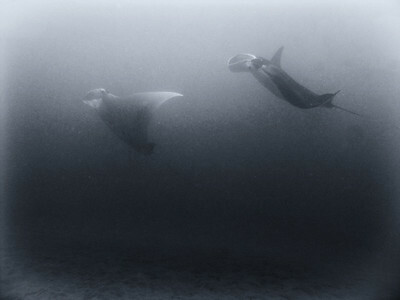 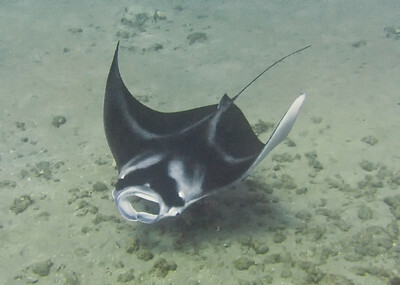 A juvenile Coastal manta ray (Manta alfredi)...pure grace and beauty in the water. This young M. alfredi was encouraging the attentions of a cleaner wrasse when we had our encounter...seemed almost curious about me. 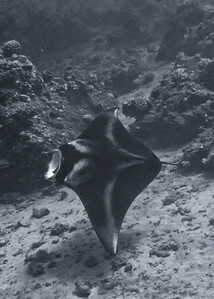 The wingspan on this individual is about two meters...just a baby! 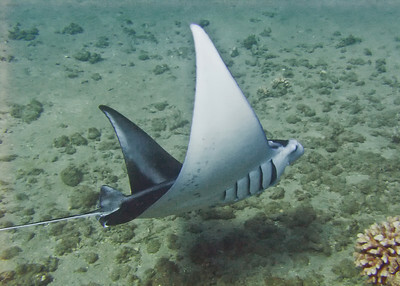 Manta birostris--with wings outstretched you can really see the dramatic pattern on this young ray. 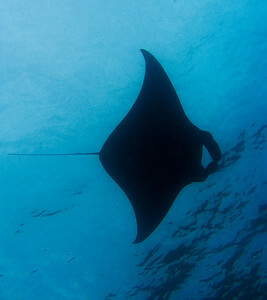 My subjective impression is that the smaller animals seem to have more pronounced markings than the larger adult rays. 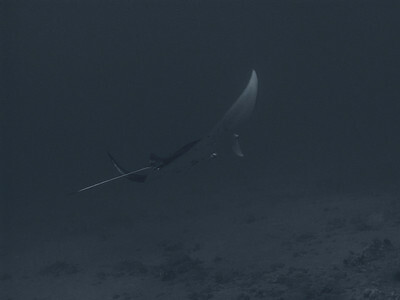 A juvenile Pelagic manta ray (Manta birostris), feeding on zooplankton and getting curious about the photographer. 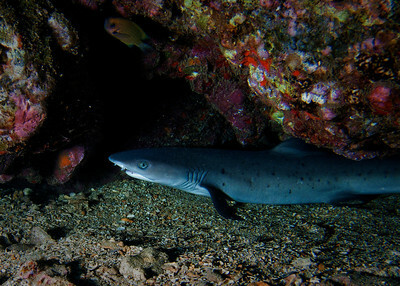 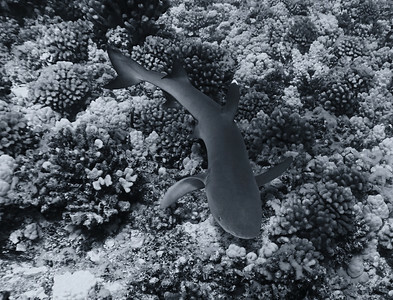 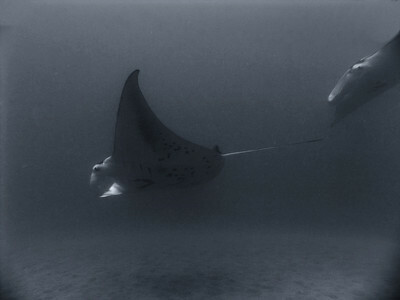 This young one was good enough to keep me company for some time...and there are few more beautiful underwater dancers. 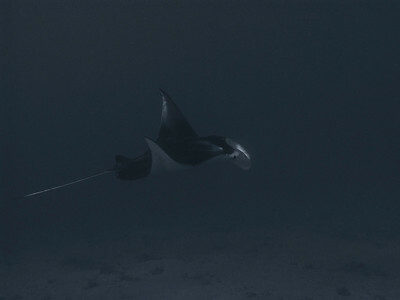 As M. birostris turns to one side and passes me, you can see the wide-open gill slits, allowing water funneling into the mouth and over the filtering gill rakers to then be expelled during feeding.